Nigerians are known for many things,one of them is "answering a question by asking a question ",LOL, I know it's funny. Meanwhile, winner of Big Brother Naija: See Gobbe, Efe Ejeba, has been a subject of ridicule for quite some time, as he seems to be off the buzzing radar more than a year after his Big Brother win. 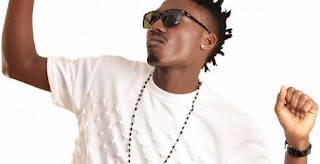 On social media, a lot of trolls have been trolling the singer since he’s not necessarily been buzzing – a fan even suggested that his money that he won has finished and asked if it were true. I hear say u don spend ur money finish @efemoney …. nah true? @officialdollarsbug i hear say SARS dey find you and you dey owe landlord nah true?